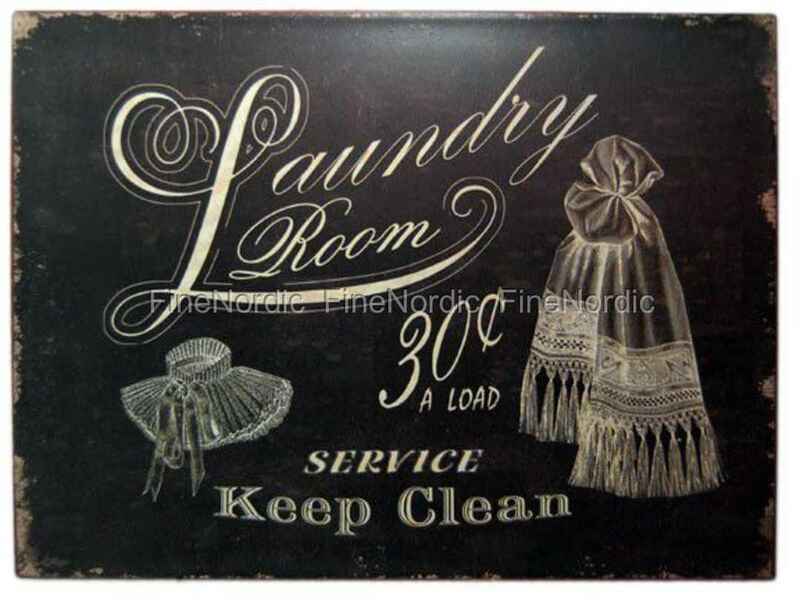 Metal Sign - "Laundry Room"
Are you looking for a little decoration for your laundry room? This La Finesse sign Laundry Room might just be what you were looking for. The black sign in vintage style has white writing on it and the uneven edges are on purpose and add to the charm of the old-looking sign. Hang it up in the laundry room or on the door leading into the room. You can also use it as gift for a friend who loves metal signs. Please also have a look at the large selection of metal signs we have available in our web shop. Maybe you will find one or more that you would also like to have.